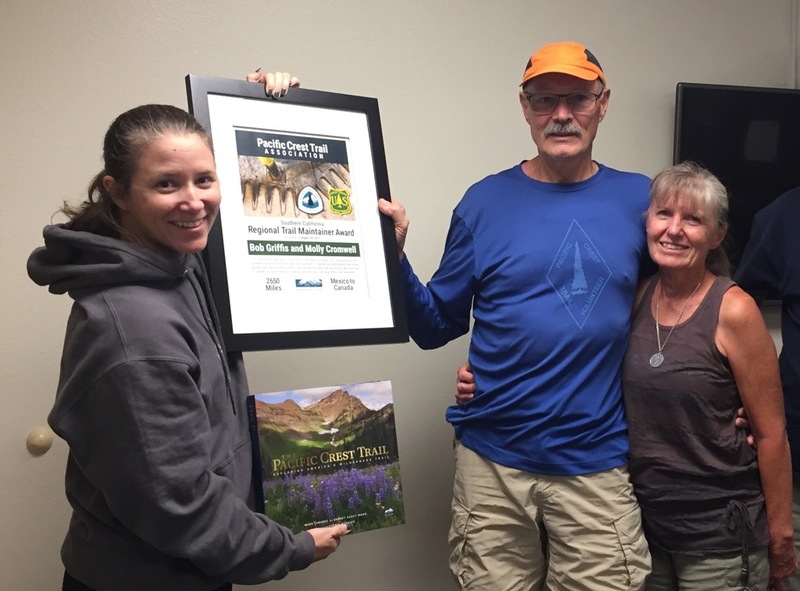 The Alice Kreuper Award is PCTA’s top honor for outstanding trail maintenance volunteers and represents a spirit of dedication as was exemplified by Alice Krueper. PCTA Regional Representative Dana Hendricks (left) presents the Alice Krueper Award to Tammy Turner. 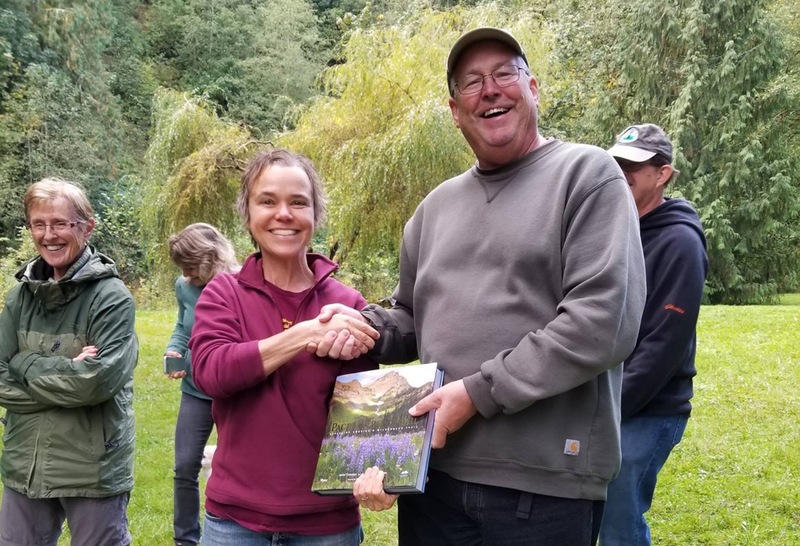 The Alice Krueper Award was presented to Tammy Turner this October during the Mount Hood Chapter’s annual volunteer appreciation picnic. Tammy is Mount Hood Chapter’s Event Coordinator, and has also served the chapter as Volunteer Coordinator. 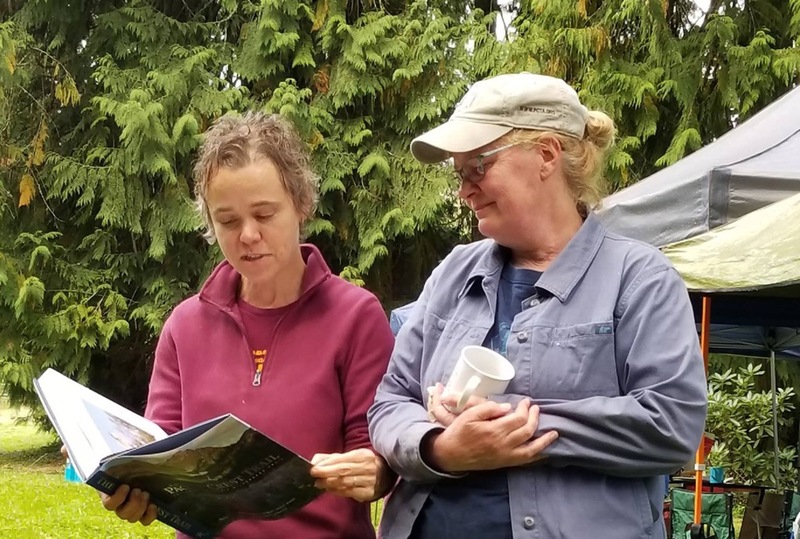 Tammy’s devotion to the trail and its volunteers has been instrumental in harnessing the enormous energy and potential of the Mount Hood Chapter. The diligence with which she’s organized Trail Skills Colleges and trail events and performed volunteer outreach and coordination amounts to nothing less than behind-the-scenes heroism. 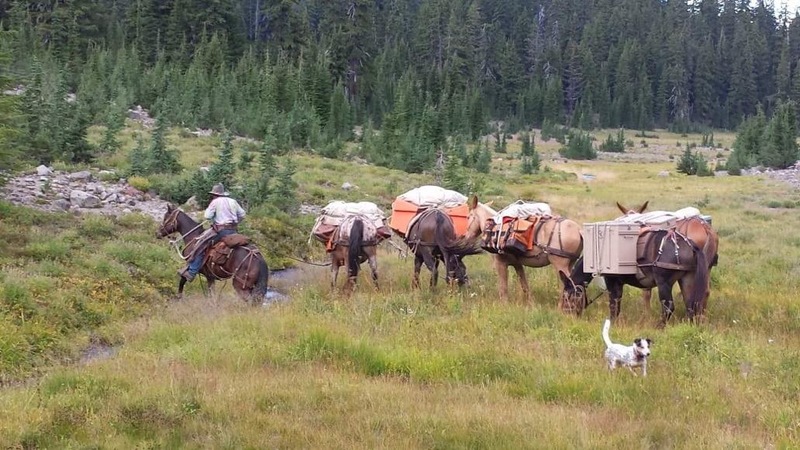 The Diamond Hitch Award recognizes the packing services provided by a volunteer packer whose passion and ongoing commitment assists with maintenance of the PCT in wilderness areas and other remote locations. Phil King in his element. Simply put, Phil has been the key to enabling backcountry trail work in Oregon. His love for Oregon’s backcountry and commitment to ensuring its wilderness legacy is evident in the hundreds of hours spent hauling food, tools, bridges, water, explosives, kitchen supplies—and whatever else the U.S. Forest Service or PCTA volunteers need—up and down mountains. He inspires trail workers with his generous support, remarkable stories, exceptional packing skills and kind, humble nature. On one level, the title of this award speaks for itself—it is meant to honor those who have gone “above and beyond” the scope of normal volunteering for the benefit of the organization or the trail. Jim Miller (center) receives his award from PCTA Associate Director of Trail Operations Jennifer Tripp and PCTA Regional Representative Bill Hawley. 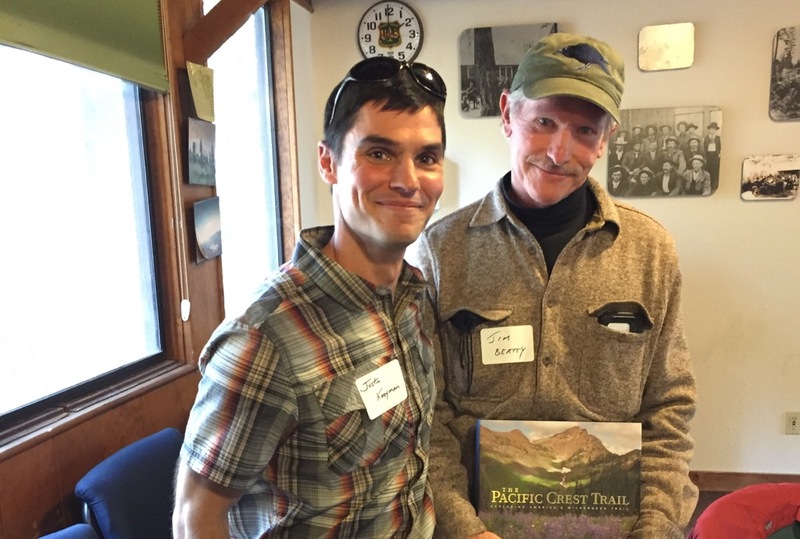 Jim Miller was awarded the Above & Beyond Award during the North Cascades Trail Skills College. He has been a leader with the North 350 Blades from its inception nearly a decade ago. Taking on nearly every role in the chapter, Jim dedicates hundreds of hours to trail work, manages the largest tool cache in the region, handles communications with volunteers, organizes outreach events and is the lead instructor for the North Cascades Trail Skills College. Robert Caldwell receives an award from Dana Hendricks. 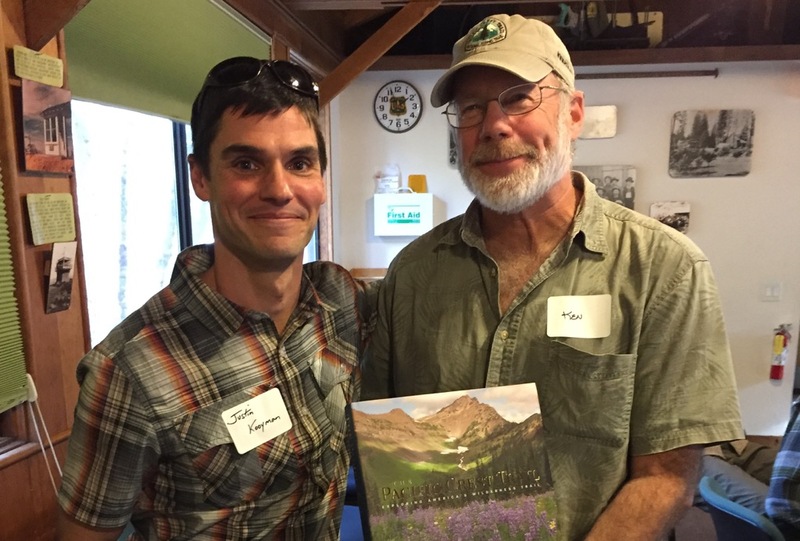 Robert was awarded the Above & Beyond Award during the Mount Hood Chapter’s annual picnic. The PCTA and the Mount Hood Chapter will benefit for years to come thanks to his keen technical skills and attention to detail off the trail, such as creating an improved crew leader development process and carefully auditing trail maintenance data. On the trail, his caretaker accomplishments are equally above and beyond. The trail between Ramona Falls and Top Spur in the Mount Hood National Forest, which was once nearly impassable and in danger of being closed, is now a spectacular PCT alternate. Jim Beatty (right) gets an award from PCTA Regional Representative Justin Kooyman. Jim Beatty was awarded the Above & Beyond Award during Pounder’s Promise’s annual gathering for his extraordinary dedication, outstanding work and immeasurable support. 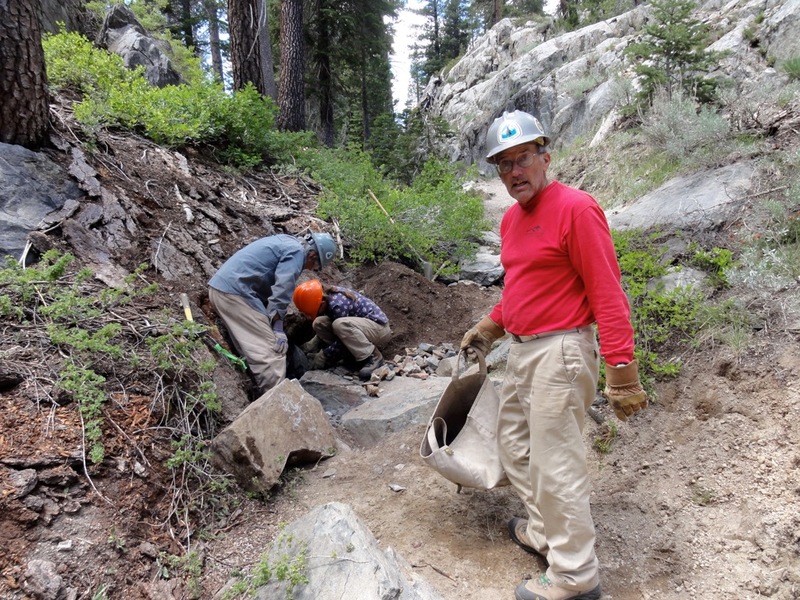 Under his leadership as Scout and Adopter Coordinator for Pounder’s Promise, volunteer stewardship in the Northern Sierra region has flourished and hundreds of miles of trail now receive the consistent support and maintenance needed to provide a world-class experience. His dedication to developing the water source on the Hat Creek Rim will assist countless hikers and equestrians crossing one of the longest waterless stretches on the PCT. This award is given to an individual in each region who has distinguished him/herself in hours and service to trail maintenance during the past year. Bob Griffis and Molly Cromwell receive their award from PCTA Regional Representative Anitra Kass. Regional Trail Maintainer for the Southern California Region was presented to Bob Griffis and Molly Cromwell. Individually they are hardworking, skilled and dedicated trail maintainers. Together they demonstrate how strong partnerships yield incredible results. They have spent many days scouting and working on the trail in Southern California, but trail work also takes them to Northern California, Oregon and Washington. John Van Heertum building trail. Regional Trail Maintainer for the Southern Sierra Region was presented to John Van Heertum during the Can Do Crew project last August. For the last 15 years, he has been an invaluable member of the Can Do Crew and Lyons’ Pride. His quiet passion and teamwork is revered by crew members. He is the first one in the dish pan after meals and the first one up making coffee in the morning. His dry sense of humor is appreciated by all. Ken Taylor (right) gets an award from PCTA Regional Representative Justin Kooyman. 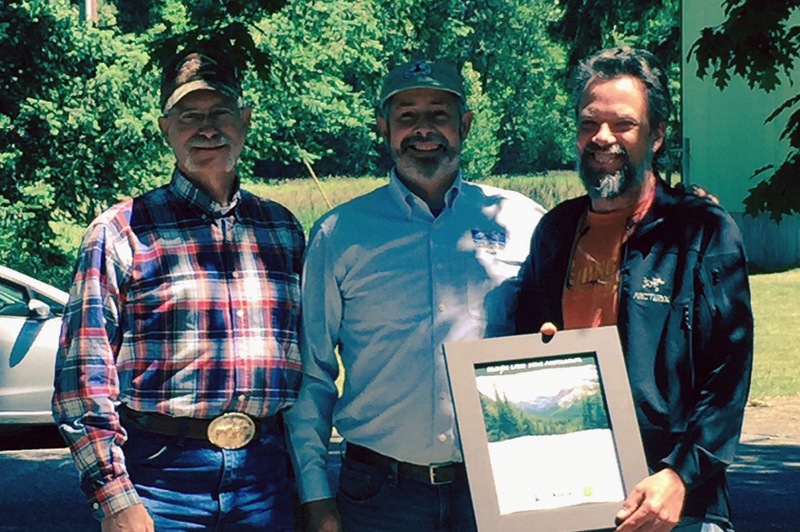 Regional Trail Maintainer Award for the Northern Sierra Region was presented to Ken Taylor during the Pounder’s Promise annual gathering. Ken’s tireless work and dedication has been essential in maintaining and improving his adopted section of the PCT along the Sierra Buttes and clearing the PCT of blow downs, particularly within the Pounder’s Promise section. PCTA Regional Representative Dana Hendricks and Bill Canavan. 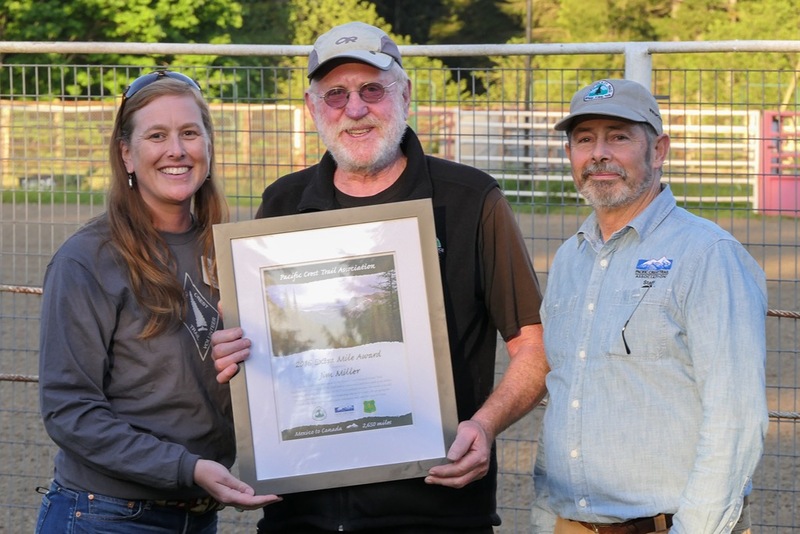 Regional Trail Maintainer Award for the Columbia Cascades Region was presented to Bill “Little Brown” Canavan for exceptional contributions trail wide and with the Mount Hood Chapter. He serves as an outstanding trail crew leader and a loyal crew member. His can-do spirit and calm, reassuring way helps volunteers old and new feel confident, comfortable and productive during trail maintenance projects. Loren Schmidt (center) is recognized by Jennifer Tripp and Bill Hawley. 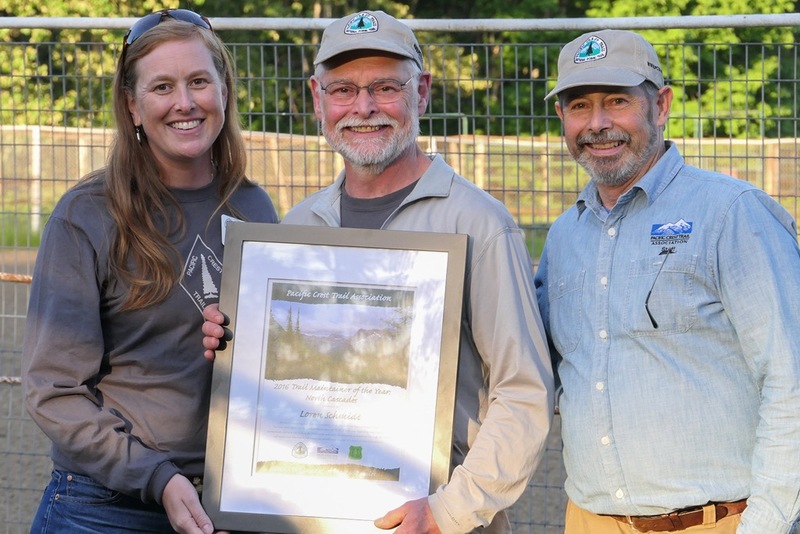 Regional Trail Maintainer Award for the North Cascades Region was presented to Loren Schmidt during the annual North Cascades Trail Skills College. The 225 hours Loren spent on trail work in 2016 just begins to tell the story—he even re-roofed a tool cache shed before loading it with gear. Loren’s dedication and hard work is much appreciated, as are the terrific photos he provides of the PCT. The Agency Partner Employee Award is given to an agency employee who has been very helpful to the PCTA. Often, more than one Agency Partner Employee Award is given each year. Steve Hoecker (right) gets an award from volunteer packer Tom Conner (left) and Bill Hawley. Steve Hoecker was presented the Agency Partner Employee Award for his exceptional work in the Gifford Pinchot National Forest. Beyond supporting local crews, Steve has worked to resolve logistical issues with packers for the PCTA Sasquatch Crews on many occasions. He was instrumental in getting the Packwood Glacier Restoration Project approved and into action. As the PCTA’s new White Pass Chapter was forming in 2015, Steve went the extra mile to help secure a tool cache and make sure that our stewards felt at home in the Cowlitz Ranger District. Andrea Durham receives her award from Bill Hawley and Tom Conner. 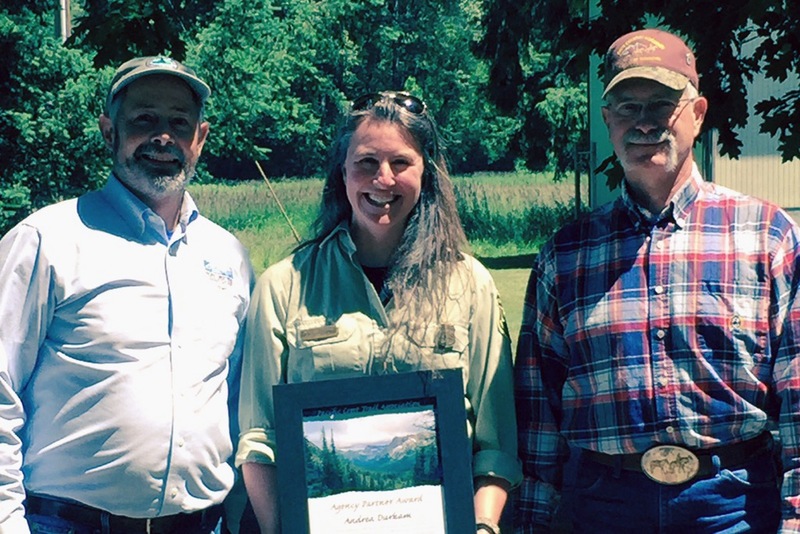 Andrea Durham was presented the Agency Partner Employee Award for her skills in partnerships and planning in the Gifford Pinchot National Forest. 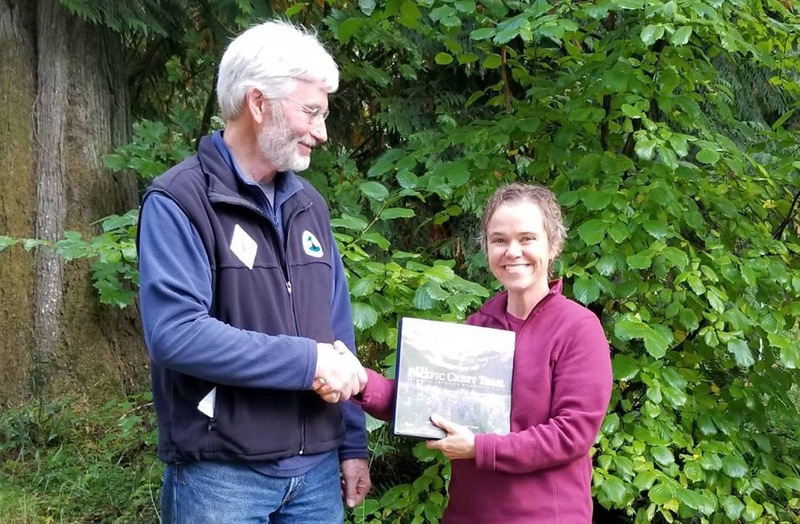 Andrea supported the planning and implementation of projects throughout Goat Rocks Wilderness and embraced the collaboration of other partners such as the Backcountry Horsemen of Lewis County, Washington Trails Association and Washington Conservation Corps. She tirelessly advocates for environmental studies to be done for re-routes and blasting projects; the type of projects that are needed to make the PCT safe for hikers and equestrians. Sam Commarto of the Salmon Ranger District and Jeff Ellison of the Happy Camp Ranger District, both in the Klamath National Forest, were awarded the Agency Partner Employee Awards during our fall Trail Dirt Live event in Redding, California. 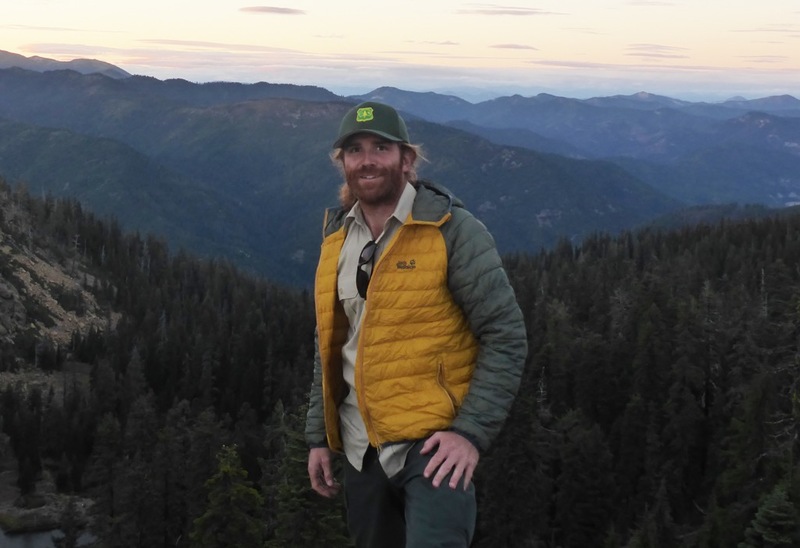 Their dedication to their U.S. Forest Service mission and willingness to work together on complex projects that affect the trail is a model for agency partners along the length of the PCT. They both are outstanding communicators and work closely with the PCTA’s Regional Representative to ensure the PCT in their districts is maintained and protected. 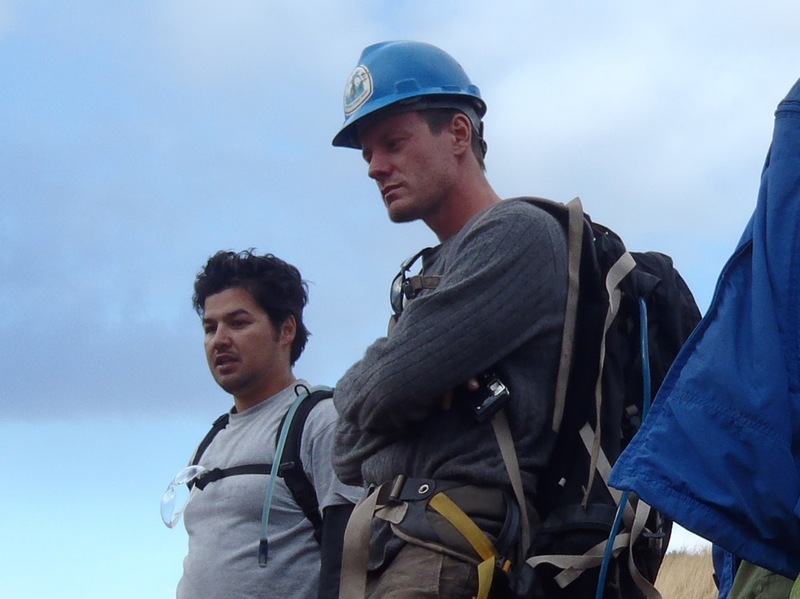 Whether working on tread rehabilitation projects following wildfires or mitigation measures during timber salvage planning processes, Sam and Jeff are always ready and willing to stand up for the PCT. They understand the PCT’s value as a recreational resource as well as the importance of protecting the trail and the experience of trail users. They exemplify what it is to be a true partner in the management and maintenance of the PCT. From left, ENO Marketing Team Manager Amy Allison and General Manager Lane Nakaji receive the PCTA’s Partnership Award from Angie Williamson, PCTA director of philanthropy, and Stephanie Plunkett, PCTA development assistant. 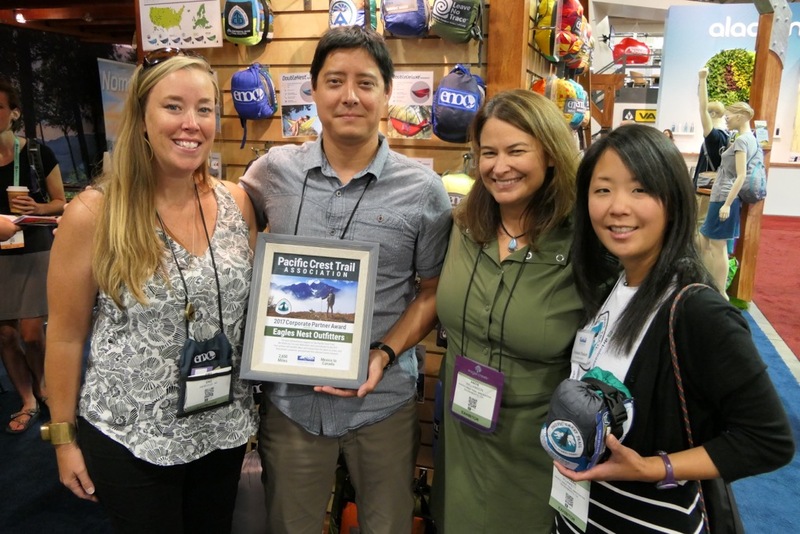 Eagles Nest Outfitters, Inc. (ENO) was awarded PCTA’s Corporate Partner of the Year during the Outdoor Retailers Summer Show in Salt Lake City, Utah. Through ENO’s Giving Back Program, the company created a Special Edition DoubleNest Hammock co-branded with the Pacific Crest Trail service mark. For every hammock sold, the PCTA receives a $10 donation. Since 2014, sales of their PCT-branded hammocks have generated $105,000 for the Pacific Crest Trail Association. ENO also creates awareness of the trail and the PCTA in its marketing and promotional materials and they are avid supporters of our efforts to permanently protect the trail experience. The Awards Committee was impressed by the quality and quantity of nominees last year. Reading all the nominations was a testament to the wonderful people who are dedicated to preserving, protecting and promoting the PCT. We hope you will nominate an award winner in January 2018 and bring their outstanding work to our attention. Emily Bauska is the PCTA’s Volunteer Programs Outreach Associate. She is excited about sharing the stories of the hard-working volunteers who maintain the Pacific Crest Trail. Emily grew up hiking in her native state of Oregon and completed a thru-hike of the John Muir Trail through the Sierra Nevada in 2013. When not on the trail, you can find her bicycling or tending to her vegetable garden.